The tour “Meadows and Mountains” starts on soft riding trails along the meadows around our farm Vellir. We then follow the river Gljúfurá and continue on an old route towards Ingolfsfjall Mountain, named after the first Norwegian Viking who settled in Iceland. 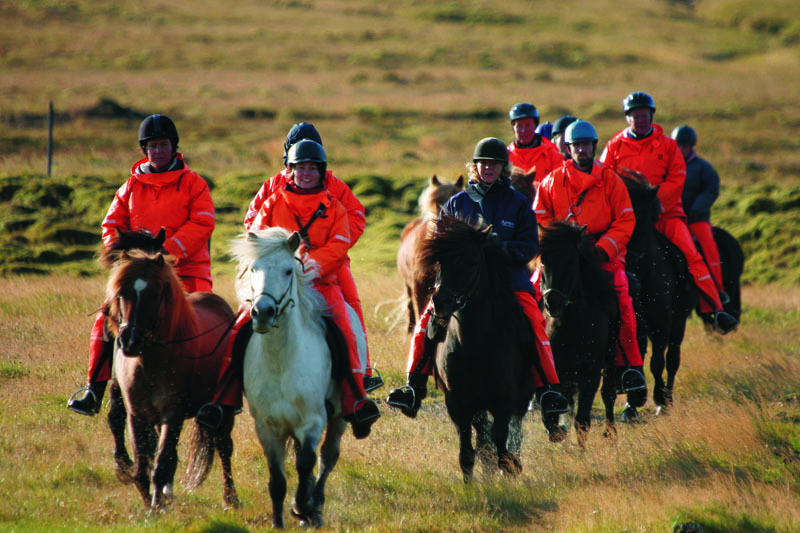 We ride along the slopes of the mountain Reykjafjall with nice views of the landscape between the ocean and the volcanic mountains surrounding the village Hveragerdi before we return to our farm. Hotel pick-up: In Reykjavik every day between 8:00-8:30.